FRAGMENT; Published in the Daily Press Feb 5, 2000. HAMPTON - Charles Sledd Thomas Jr. of Hampton, Va., died after a brief illness on Sept. 11, 2006. Born Jan. 14, 1912, in Newport News and raised in Hampton, he was the son of Charles S. and Leola Davis Thomas. He was a loving and caring husband of 58 years to Esther Virginia Cutler Thomas, who predeceased him in 2000. He is survived by his sons, Allen C. 'Kit' Thomas Sr. of Burgess, Va., and C. Sledd Thomas III of Pittsboro, N.C.; by two daughters-in-law, Jan Thomas and Ann Thomas; and five grandchildren, Allison Thomas, Virginia Thomas, Borden Thomas, Kit Thomas Jr., and Todd Keegan. 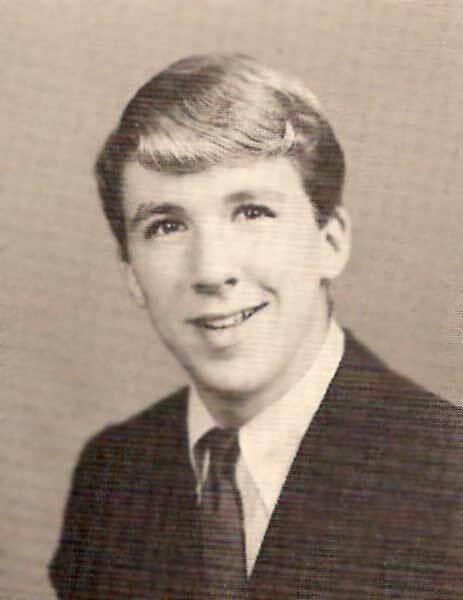 His brother, Allen Davis Thomas of Tullahoma, Tenn., and his sister, Elizabeth Thomas Martin of Hampton, Va., precede him in death. Mr. Thomas graduated from Hampton High School in 1929 and from the College of William and Mary in 1933. While at William and Mary he majored in business and was a member of The Order of the White Jacket. He served in the US Army from 1943-1946. A former President of the Virginia Optical Guild, he was a founding member of Martin, Thomas and Walker Opticians. His service to his community included charter membership in the Hampton Sea Scouts and over 50 years as a 32nd Degree Mason, Scottish Rite and Shrine – Lodge 3, St. Tammany Hall. He also served his church in many capacities including Lay Eucharistic Minister, Treasurer and Lector. In addition to his family, he had a love of hunting and fishing, cooking and gardening. He was an active and enthusiastic member of the Exchange Club and the Torch Club. A Memorial Service will be held in celebration of the life of Charles S. Thomas Jr. on Saturday, Sept. 23, at 11 a.m. at St. John's Episcopal Church, Hampton, Va. Family will receive friends in the Parish Hall immediately following the service. Memorial gifts may be made to St. John's Episcopal Church or the American Cancer Society. Published in the Daily Press from 9/16/2006 - 9/17/2006. HAMPTON - Elizabeth Cutler Smith of Hampton, Va. died after a brief illness and hospitalization on September 20, 2006. 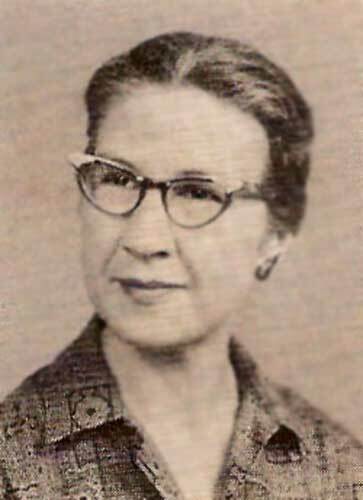 Born on May 10, 1918 in Newport News, she was the daughter of Dr. John Calvin Cutler, M.D. and Jessie Chance McMore Cutler. She was the loving wife of 31 years to Hugh Sidney Smith Jr., who preceded her in death in 1973. 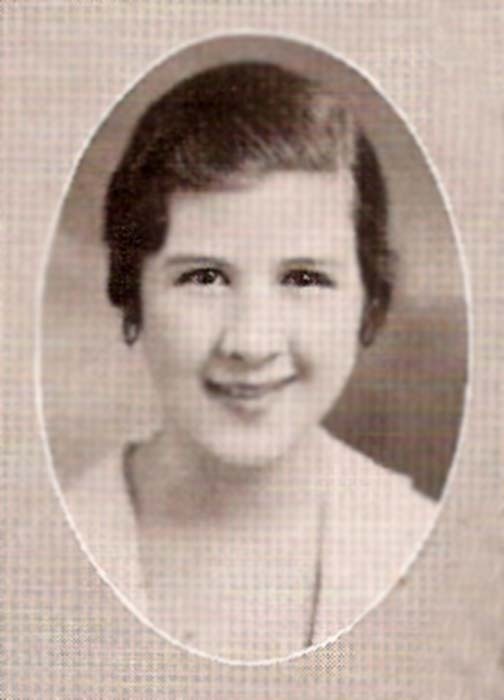 She is survived by her sister-in-law, Allison Cutler of Newport News, Virginia; daughters, Clare Sibley Smith-Larson ('62) of Altoona, Iowa, Betsy Cutler Smith ('65) of Knoxville, Iowa and Jean Porter Smith Hansen ('67) of Hampton, Virginia, with whom she made her home; by two sons-in-law, Luther F. 'Skip' Larson and Carl R. Hansen; five grandchildren, Christina Marie (Creach) Rhodes, Eric Christopher Creach, Michelle 'Shelley' Fielder, Katherine Reed Hansen, and Andrew Hunter Hansen; their respective spouses, Jeffrey Rhodes, Cindy Baldwin, and Jeffrey Fielder; three step-grandchildren, Alaire (Larson) Nielsen, Shawn (Larson) Gilson and Lon Wayne Larson; their respective spouses, Timothy Nielsen, Richard Gilson and Shelby Larson; seven great-grandchildren, Gus Baldwin Creach, Alice Baldwin Creach, Jack Hogan, Nicholas Hogan, Sydney Fiedler, Logan Baldwin Creach, and Payton Elizabeth Fielder; and two step-great-grandchildren, Cathryn Gilson and Ian Robert Gilson. Her brothers, Day E. Cutler, John 'Jack' Cutler, Robert C. Cutler and Thomas Nelson Paige Cutler; her sisters, Harriet Cutler Rose and Esther Cutler Thomas; her son with Sidney Smith, H. Sidney Smith III; and her son-in-law, James Franklin Creach all preceded her in death. 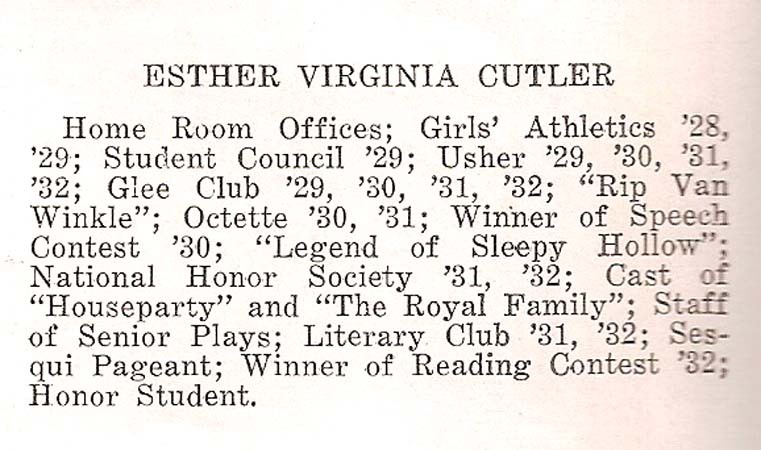 Mrs. Smith graduated from Newport News High School in 1935 and attended Lynchburg College and The College of William and Mary where she graduated in 1939. 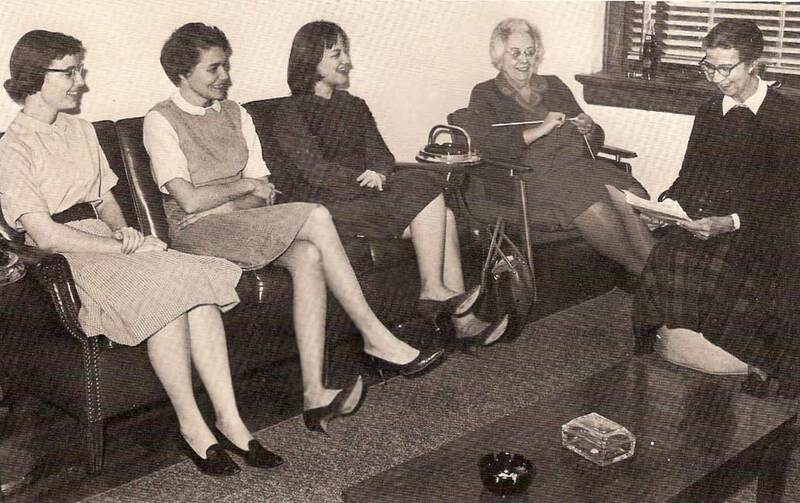 While at William and Mary she majored in Library Science and was a member of Pi Beta Phi sorority. 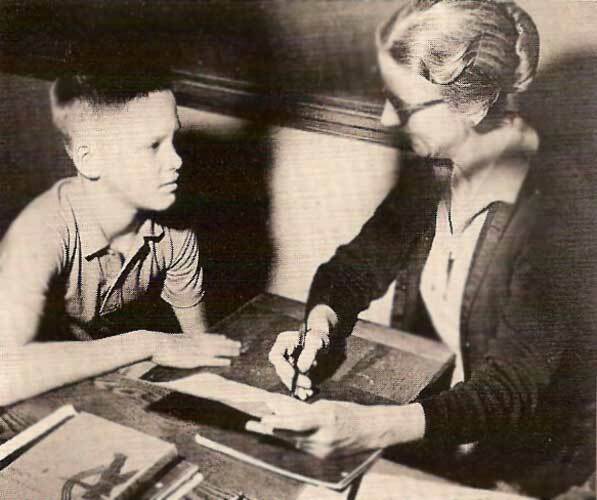 She taught in Poquoson, Virginia before marrying Sidney on March 20, 1943. 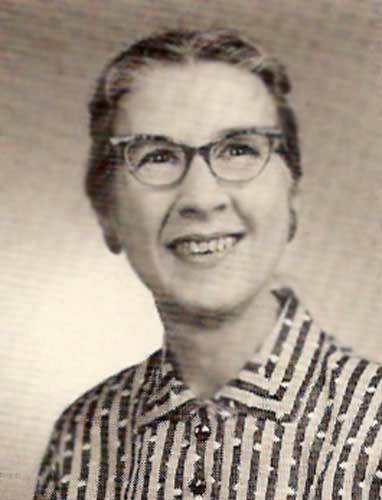 She taught in the Newport News Public School system from 1959-1982 and served as school librarian and chair of the English Department of Ferguson High School after receiving a Master's in Education from The College of William and Mary in 1965. Her service to community included membership in the Women's Club, Sunday School teacher, various offices in the Presbyterian Women, deacon and ruling elder in First Presbyterian Church in Newport News and member of the American Association of University Women and Retired Teachers of Newport News. 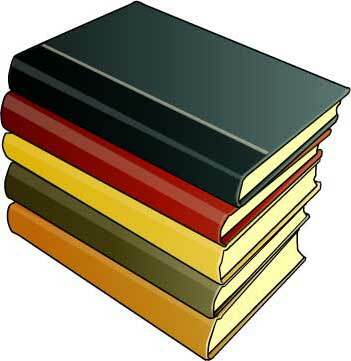 She also served on the board of the Newport News Public Library and was an instructor at Christopher Newport College. She was a member of Wythe Presbyterian Church at the time of her death. 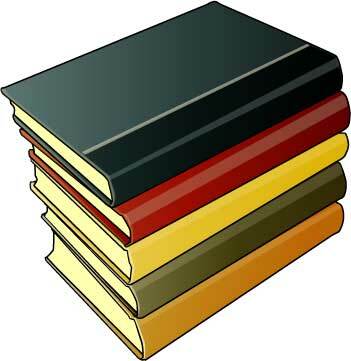 In addition to her family, she had a love of reading and belonged to several book clubs and literary groups. She was Bible Study leader for her church circle for many years, a member of chancel choir and participated in various Presbytery and Synod activities. A memorial service will be held in celebration of the life of Elizabeth C. Smith, on Sunday, October 15th at 3:00 PM at Wythe Presbyterian Church in Hampton, VA. Family will receive friends in the Fellowship Hall immediately following the service. Memorial gifts may be made to Lynchburg College, Lynchburg, Virginia; the Newport News Public Library; the Heifer Project, Habitat for Humanity or Church World Service through Wythe Presbyterian Church, Hampton, Virginia. Published in the Daily Press on 9/25/2006.